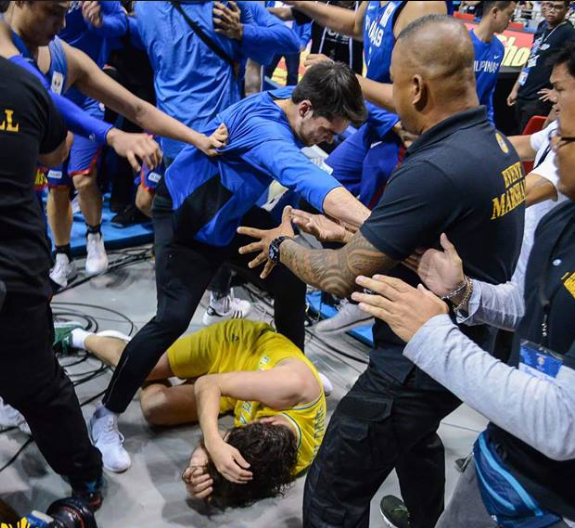 Gilas Cadet Troy Rike receives P200,000 reward for his ‘heroic act of compassion’ amid Monday’s bench – clearing fracas between Australia Boomers and Gilas Pilipinas. 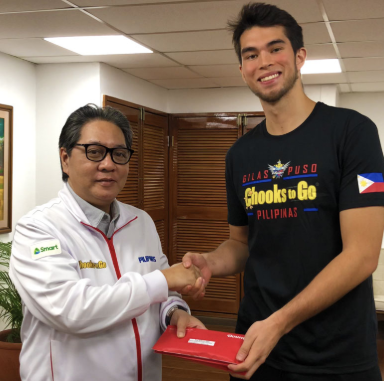 The 22 – year old Fil-Am ‘Manok ng Bayan’ was seen as though he was charging Australia’s Chris Goulding down to the ground, but it turned out to be the complete opposite as the latter found himself an ally momentarily, somehow in Rike. The sudden encounter broke out during the game’s 3rd quarter when Australia was leading by 31 points already. Rike’s sponsors, Bounty Agro Ventures and Chooks – to – Go recognized his good deed incentivizing him of cash benefit, which he later revealed that the money shall be donated to charity as a sign of ‘goodwill’. “Obviously, both of us wish what happened would not have had happened because that is not what either country is about. We can’t take that back and the only thing we could do is move forward and do some good with that,” he added. 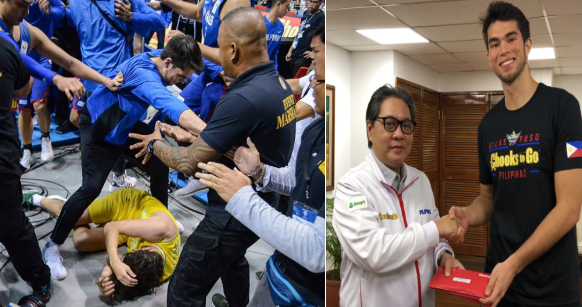 With speculations that GILAS may eventually be suspended, both teams have since been anticipating for the sanctions to be carried out by the International Basketball Federation.